George Koo: Is racial bias to blame for the high number of Asian Americans charged with espionage? This co-authored piece first appeared in the Los Angeles Times. Is it possible that these prosecutions were driven — at least in part — by racial profiling rather than solid evidence? Last year, more than 40 members of Congress sent a letter to Atty. Gen. Loretta Lynch asking that question. The Justice Department has not yet responded, but last month it adopted a new policy requiring experienced national security prosecutors in Washington, instead of local U.S. attorneys, to oversee all espionage-related cases. It's of course too early to know whether this change will reduce the number of problematic cases brought against Asian Americans. Although theft of trade secrets by foreign countries certainly occurs, the government has focused overwhelmingly on China. Of the 55 trade secret and economic espionage cases involving a foreign country brought since 1997, more than 70% targeted China. The government, however, seems to have a hard time bringing these cases to a successful conclusion, suggesting that such disproportionate attention is misplaced. From 1997 to 2015, federal prosecutors had an average conviction rate of about 91% for all criminal cases. In federal white-collar cases, the conviction rate was more than 90%. But of the 39 trade secret and economic espionage cases involving China since 1997, federal prosecutors won convictions in only 66.7% of cases. In contrast, for cases involving other countries, prosecutors had a conviction rate much closer to its other cases — about 87%. Is it possible that these prosecutions were driven — at least in part — by racial profiling, rather than solid evidence? Under pressure to stop Chinese spying, prosecutors seem to file espionage-related charges without fully understanding the facts. In the very first economic espionage case to go to trial, in San Jose in 2009, prosecutors accused two Chinese American engineers of seeking to “benefit” the Chinese government, simply because the engineers had applied for research funding from Chinese agencies to help their startup. The jury rejected the prosecutors' argument and concluded that this was just normal business activity. One recurring issue in Chinese trade secret cases is that local U.S. attorneys, many of whom know little about the major role that state institutions play in the Chinese economy, misinterpret normal contacts with government banks or research institutes as evidence of spying. To many observers, the government's unjustified suspicion of Asian Americans became apparent in 1999, when Wen Ho Lee, a Taiwanese American nuclear physicist employed at the Los Alamos National Laboratory, was accused of sharing nuclear secrets with China. Lee, who was included on a shortlist of suspects because of his frequent trips to Asia and his access to classified information — and, critics claim, his ethnicity — consistently denied he had given sensitive information to China. The case fell apart, and seven years later, Lee won a civil judgment against the prosecutors and media organizations that had tarnished his reputation. In case after case, the government's allegations of improper motives — perhaps fed by suspicions of China — have failed to withstand scrutiny. In 2014, a jury found former Texas Instruments engineer Ellen Chen Yeh not guilty of all charges in a trade secret case. Yeh, who had left Texas Instruments to work at a company in China, was accused of wrongfully downloading computer chip designs and taking them to China with the intent to steal them. Yeh explained that she kept the designs — which she had developed herself — because she hoped to resume working with Texas Instruments someday. The jury believed her. The way prosecutors bring China-related trade secret cases causes immense damage to those accused. By publicizing these cases before they can prove them, prosecutors destroy reputations. 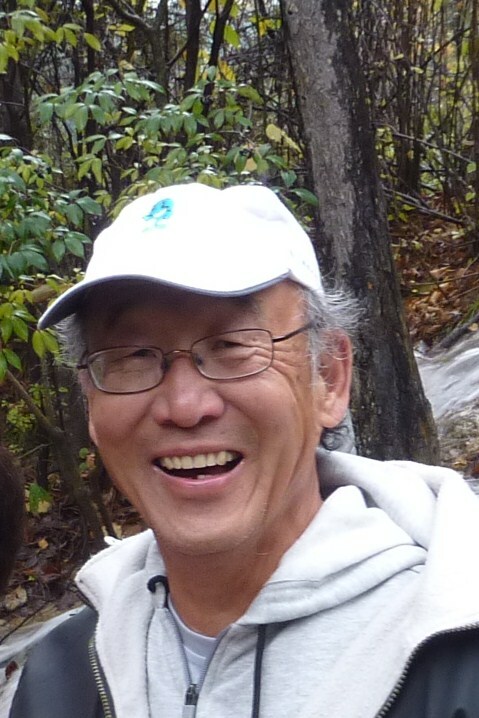 In October 2014, Sherry Chen, a 60-year-old Chinese American water scientist, was arrested by FBI agents at a National Weather Service office in Ohio. Chen, who had been a U.S. citizen for more than 15 years, was accused of downloading data on U.S. dams and passing it to a Chinese government official. The charges against her carried 25 years in prison and a $1-million fine. Prosecutors dropped the charges against Chen shortly before her trial was set to start because they realized they had misinterpreted the evidence, but that did not undo damage to her good name. Undeterred by the collapse of its case, the government says it still intends to bar Chen from her job, a decision she is fighting. There is also growing evidence that prejudice may affect the sentencing process for those found guilty of trade secret theft. An analysis of cases over the last two decades shows that, for individuals convicted of trade secret theft, the average sentence for people with Chinese surnames is more than twice that for those with non-Chinese surnames. This translates to an average of an extra 17 months in prison for Chinese Americans. The strength of the U.S. economy is based largely on innovation and competition. A more careful approach to these prosecutions can protect the rights of Asian Americans, minimize wrongful prosecutions and help ensure an economic environment that continues to foster innovation. George Koo is a global business advisor. Daniel Olmos is a criminal defense attorney who has successfully defended several trade secret cases at trial.